A Google Chrome extensions are like apps for your phone, except they’re for your browser. Extensions add functionality for specific things. In this article I will go over the top five extensions that I find myself using the most. Many websites such as Reddit and Twitter make it very hard to see pictures with out clicking on them, this is where Imagus comes in. Imagus is an extension that makes it easier to see pictures that are too small or maybe cropped due to the layout of the website. When you move your cursor over an image Imagus opens it up to full size next to the cursor, which makes it much easier to see. Not only that Imagus lets you keep the image open without keeping your cursor on the image by simply hitting enter. To make it disappear simply hit enter again. Check it out here https://goo.gl/dm1Q4d. 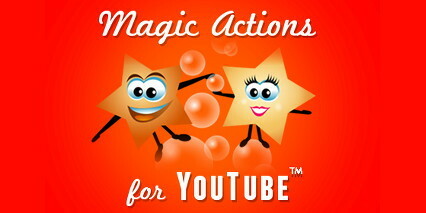 Magic Actions adds a lot of much-needed features to the already great site, which is Youtube. Magic Action adds the ability to full screen a window within a tab, something that I constantly find myself doing. It also allows Youtube to be turned to dark mode as well allowing users to take quick screenshots of Youtube videos. Check it out here https://goo.gl/jPHA7f. Writing can be hard especially when many websites don’t have a built-in grammar and spell checker. This is where Grammarly comes in. Grammarly brings a spell checker to every text box on the internet. Not only that Grammarly can also catch less obvious errors such as a lack of a comma or a misplaced modifier. Check it out here https://goo.gl/kUSVvZ. Almost everyone wants to help those in need, but often it can be financially difficult to give money to charity. Tab for a Cause makes it easy to help out. Simply enable the extension and tab for a cause will become the screen that appears every time a new tab opens. 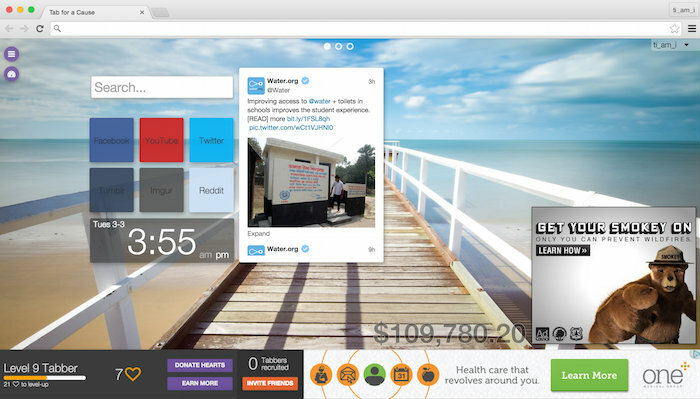 On the new screen there is a small ad which is used to generate ad revenue for charity. Every time you open a new tab ad money is generated. If you are like me and constantly open tabs you will be raising a lot of money for charity by simply browsing the web. Check it out here https://goo.gl/sSqhWQ. Almost every day I copy and paste a URL whether it be to send to someone, put in a document or saving it for later. The problem with standard URLs is they are often long and not very pretty to look at. goo.gl URL Shortner makes it easy to use googles URL shortening website with one click to the icon at the top of Google Chrome. A shortened URL looks like https://goo.gl/B8J7I5 and can be done to any web page. In fact I’ve been using it for every link so far. So check it out here https://goo.gl/DUrXQ. This entry was posted in Operating System on September 8, 2017 by jkillingback.